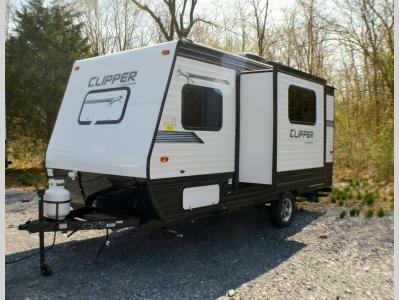 Looking to upgrade your tent to a travel trailer that will sleep five family members, includes a private area to change and get cleaned up, plus allows you to cook indoors when you like? 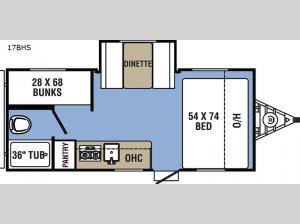 Just imagine everyone laughing and talking about their day at the campgrounds while sitting on the full size bed or booth dinette. You can grab snacks from the pantry before bedtime, and enjoy taking a bath or shower in the private toilet and tub room. 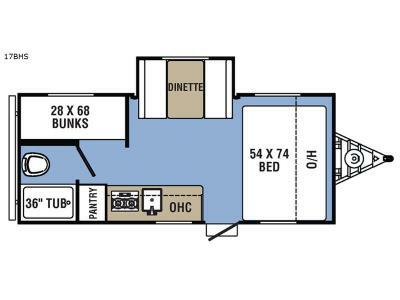 You will also enjoy the single slide allowing more floor space as well. The kids are already laying on the bunks. This is the one!